Nike’s Unlimited Stadium Will Put Your Best Foot Forward « Adafruit Industries – Makers, hackers, artists, designers and engineers! 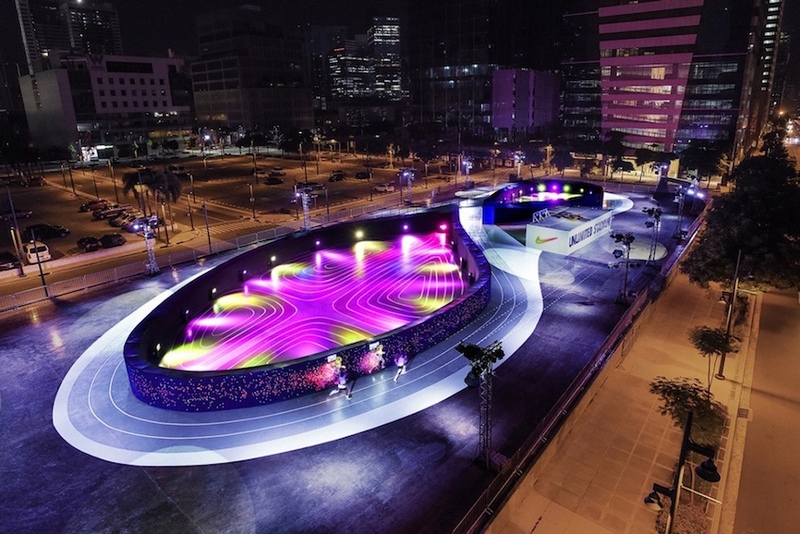 Nike has taken an entire block of downtown Manila (Philippines) to build their “Unlimited Stadium“. 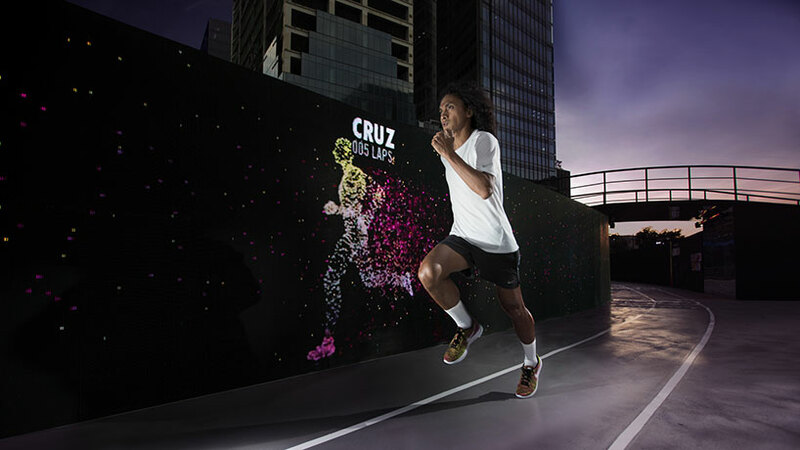 It is a tribute to their Nike Lunar Epic shoe which consists of a 200-meter track lined with LEDs. Runners engage with the installation by running a lap with an RFID tag fixed to their shoes. On the subsequent lap the avatar matches the pace of their previous lap. The avatar will continue to “race” the runners at their fastest lap time. Currently the track supports 30 runners at a time. There have not been any disclosures as of yet as to how long the installation will be in place and if there will be more in other cities.